Have put a special offer on both websites for my DVD collection till the end of Jan.
Have just added the DVD, Bad to the Balloon Vol 2 by Mark Byrne to both websites. The cost for the DVD is £25 which includes shipping, I only have 10 copies available. The Sempertex 160 Periwinkle is being dis-continued, not sure if this is a UK or worlwide thing. I have 4 bags left if anyone uses and needs them. Have just got a new supply of the 6ft step in balloons in stock with Green, Yellow, Blue, White and Orange now available. 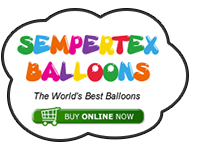 It has just been confirmed today that there will be a price increase coming when the new order of Sempertex balloons make it to the UK. Some product will be going up by as much as 35% and we anticipate making changes to the site around the middle of March. I feel an order coming on pre-mid March Graham! Presumably it is not 260s increasing by 35%? We have started to stock the Qualatex 5" gold metallic's, will add them to the website ASAP. We are adding some new stock to the Qualatex website, it should be in stock and ready to ship from Friday. We are stocking the 11" Rounds in 25 count bags where possible. Gulp - need to do a stock take and get ordering !!! this has now been reduced to £19.99. We are hoping that will be the only slight increase we have to make on either site. I have just had an email from Andrew and my shipment of McPumps will be on there way over to me on Monday, hurray! I have just added the DVD's by David Brenion to both websites, the DVD's are £25 each. Club members can either purchase the two DVD's with free shipping which will be refunded via PayPal from your order or pick them up at any day for £45. 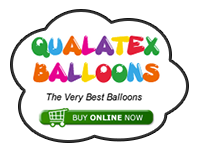 It's a mildstone day today, it's exactly one year ago that we started to sell Qualatex balloons and launched the website.